Fashion week, regardless of what fashion capital you're in, is always stressful - fact. Whether it be running to and from shows, avoiding the rain, trying not to break your neck on cobblestones; it takes a LOT out of you. This season, I've stuck with my absolute essentials for London Fashion Week. iPhone 4s - Music, contacts, organiser and camera. Need I elaborate? 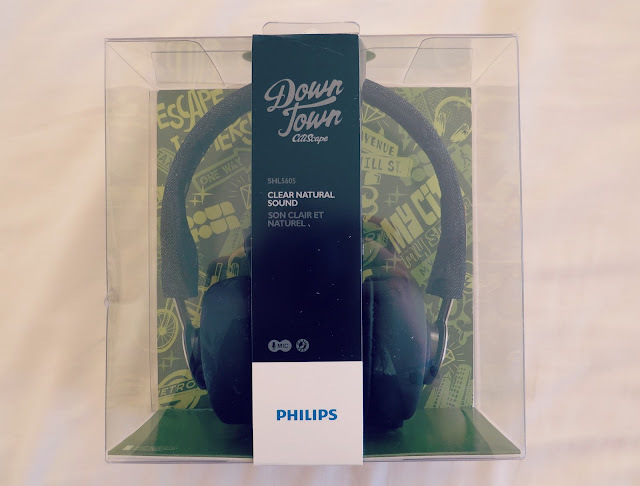 Philips DownTown CityScape Headphones* - I was recently sent these bad boys to try out from Vice Magazine and I have to say I am completely converted to overhead earphones! 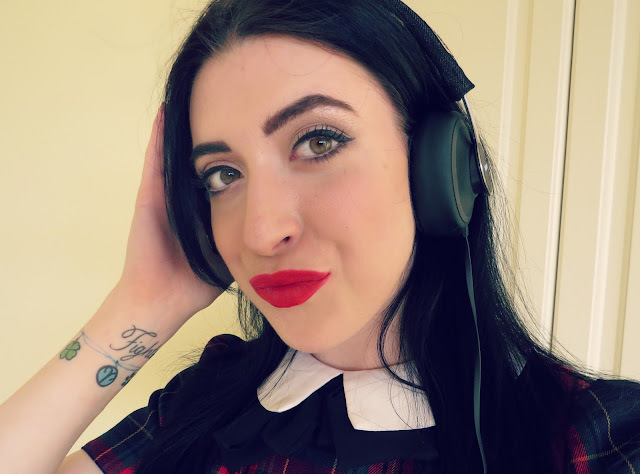 Listening to music on the Tube is practically impossible with your average pair of in-ear headphones, as it's extremely noisy. These Philip's headphones block sound out so well, that putting them on without playing music practically cuts out outside noise automatically. 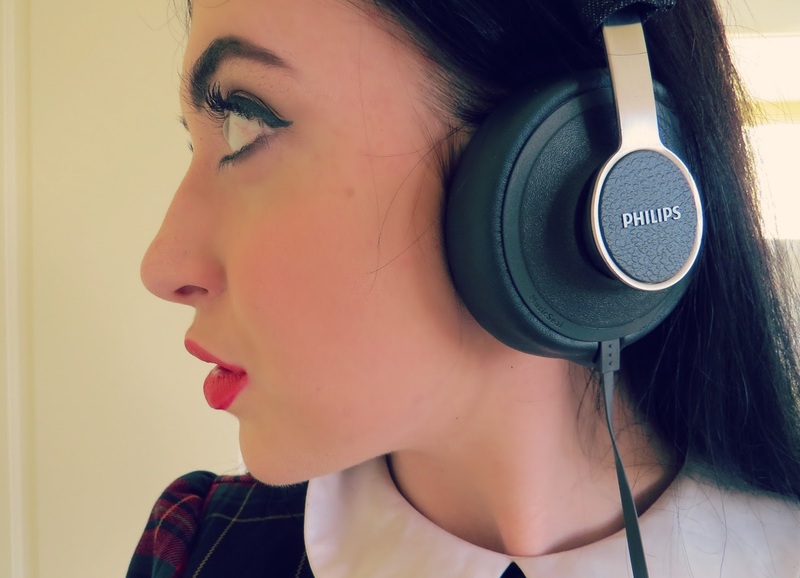 The denim detail add an edge to the headphones, making them that little bit more fashionable and modern. Wearing them around your neck makes you instantly look more "urban" and well, interesting. They'd look good on both men and women and they don't disrupt most hairstyles too much! Seven Seas Pure Cod Liver Oil A-Z Multivitamins - My energy levels diminish within days of fashion week from all the running around and travelling, so vitamins are a must. I've been taking these for just under a year now, I find they work a treat and keep me energised and refreshed throughout the day. Tissues and anti-bacterial hand gel - London is a dirty, dirty city so anti-bacterial gel and tissues is a no-brainer. These leopard-print ones are from Penneys (Primark) and look totally cute in my handbag amongst my other 858967 leopard-print items. Glasses* - I'm really blind, fact. If I don't have my glasses, I end up on the wrong tube line and waving at strangers constantly - it isn't fun. 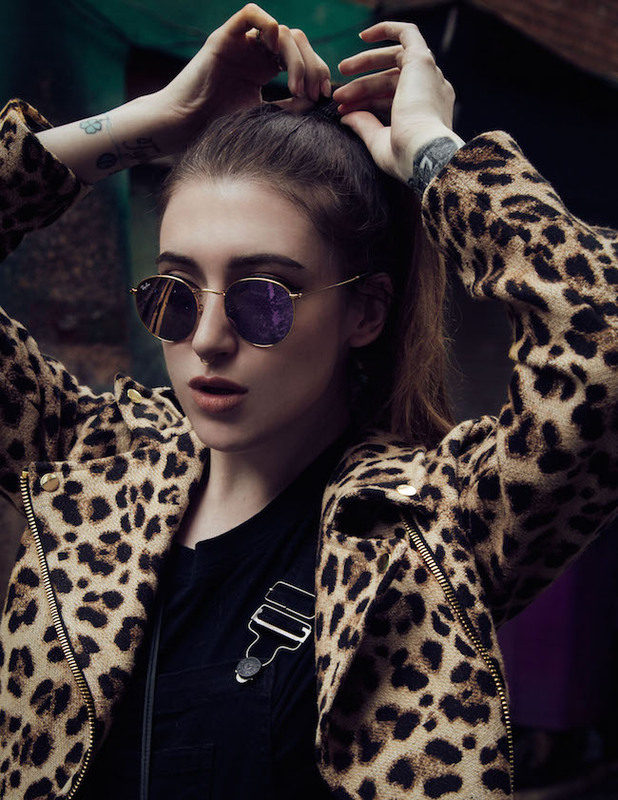 These AMAZING leopard-print 50's wing frames are from Osiris at Specsavers. The girls at the wonderful Glam Media LFW bloggers suite kindly gifted them to me, so I'll be wearing them 24/7 once they're fitted with my prescription. Hairspray - Possibly the only hairspray that works for my hair and doesn't crust it all up like dodgy dreadlocks - Elnett! The famous classic works wonders on everything from curls to fauxhawks. I'd be lost without it, plus it smells like glam Nan's. Kate Moss x Rimmel Matte collection lipsticks* - I'd be lost without these lipsticks full stop, as they're the only pigmented matte lippies that don't dry my lips out within hours. They taste amazing, they last all day and they're affordable. Obsessed! LFW press pass - I'm now officially part of the press since beginning to write for OOH LA LA magazine, how exciting! Oyster card - Pretty self-explanatory, but it's the easiest, quickest and cheapest way to travel around London. Fumbling for coins in front of a queue of 20 people is never fun. Thanks to Harvey Nichols for my gorge card holder! Tangle Teezer - The only hairbrush I use nowadays, as it doesn't tear out chunks or rip my fine locks to pieces. 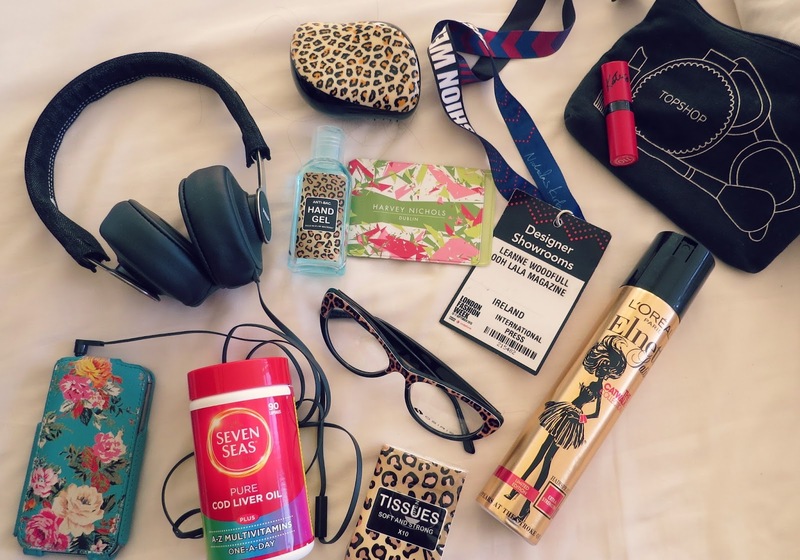 It's leopard-print, small enough to pop into my handbag and also fantastic at backcombing for some volume on the go!